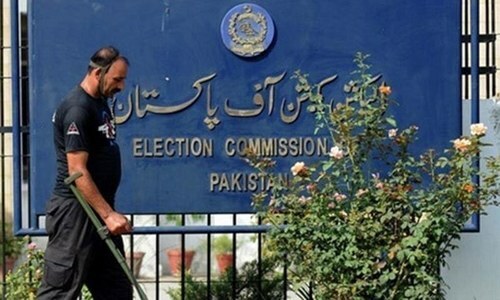 ISLAMABAD: The parliamentary board of the ruling PML-N swung into action on Wednesday when it conducted interviews of 87 candidates for the party ticket from Punjab for the Senate elections scheduled for March 3. 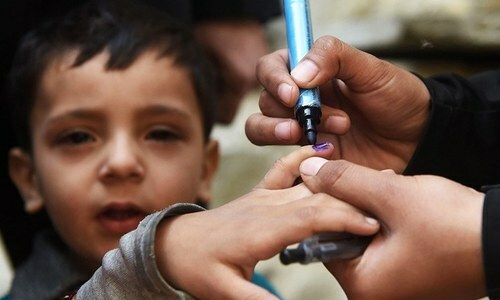 The Senate elections depend on position of political parties in the four provincial assemblies and the National Assembly. Given the PML-N’s strength in the assemblies, it is expected to gain all 11 seats from Punjab. Sources said the party had received as many as 96 applications from the province. The PML-N is also likely to get both seats from Islamabad, one or two seats from Khyber Pakhtunkhwa and two to three seats from Balochistan. However, the party is not expected to bag any seat from Sindh. Political experts believe that with only a few seats available and a large number of aspirants, the PML-N leadership will have to take tough decisions while selecting the candidates because there are many heavyweights and party loyalists among the applicants. Prominent among those who appeared before the board were Saud Majeed, who is being tipped as the new governor of Punjab, Special Assistant to the Prime Minister Tariq Fatimi, former MNA Rana Mehmoodul Hassan, Rana Nazir, former chairman of Pakistan Steel Mills Abdul Qayyum Khan, Saleem Zia and the party’s media coordinator Mohammad Mehdi. Saud Majeed, who belongs to southern Punjab, was seen receiving felicitations from party colleagues on his possible appointment as governor. Federal Minister for Environment and PML-N’s Information Secretary Mushahidullah Khan, Privatisation Commission Chairman Mohammad Zubair, Sheikh Ansar Mehmood and Nihal Hashmi were among the nine candidates who could not appear before the board on Wednesday because of different reasons. Interestingly, two office-bearers of the party’s Sindh chapter — Saleem Zia and Nihal Hashmi — have applied for the Senate ticket from Punjab after getting their votes transferred to the province to fulfil the constitutional and legal requirement. PML-N Chairman Raja Zafarul Haq presided over the board’s meeting in the absence of Prime Minister Nawaz Sharif. Punjab Chief Minister Shahbaz Sharif, the party’s secretary general Iqbal Zafar Jhagra, Information Minister Pervaiz Rashid, Railways Minister Khawaja Saad Rafique, Khyber Pakhtunkhwa Governor Sardar Mahtab Ahmed Khan, Pir Sabir Shah, Sardar Sanaullah Zehri, Yaqoob Nasir, Dr Asif Kirmani and Nuzhat Sadiq attended the meeting as the board members. Interestingly, five members of the parliamentary board are also candidates for the Senate ticket. They are Raja Zafarul Haq, Pervaiz Rashid, Iqbal Zafar Jhagra, Yaqoob Nasir and Sabir Shah. Zafarul Haq, Pervez Rashid and Yaqub Nasir are among the eight party senators, out of 16, who will retire on March 11 after expiry of their six-year term in the upper house. Of the eight retiring senators, seven are from Punjab and one from Balochistan. Other PML-N senators retiring from Punjab are Environment Minister Mushahidullah Khan, Chaudhry Jaffar Iqbal, Syed Zafar Ali Shah, Professor Sajid Mir and Najma Hameed. There is a general feeling within the party ranks that a majority of retiring senators may get the ticket again, leaving behind a limited number of seats for newcomers, particularly from Punjab. Zafar Ali Shah, who had become senator in 2009 from Punjab, has this time applied for a party ticket from Islamabad. He is facing a tough competition on the only general seat from the federal capital as two advisers of the PM and strong contenders for the Senate — Sartaj Aziz and Irfan Siddiqui — are also in the run for the seat. Besides the three potential candidates, former MNA Anjum Aqeel, Malik Shuja and Ashraf Gujjar are willing to contest the Senate polls from Islamabad. The party is also facing the same situation in KP and Balochistan. From there, the party has received applications from Iqbal Zafar Jhagra, former chief minister Sabir Shah, Salahuddin Tirmizi, a close confidant of the prime minister, and former PML-Q Senator Salim Saifullah Khan. The sources said the PML-N could get a second seat from the KP only if it entered into an alliance either with Aftab Sherpao’s Qaumi Watan Party or the Jamiat Ulema-i-Islam-Fazl. They said Mr Jhagra had a bright chance of getting the party ticket since the leadership valued his services. 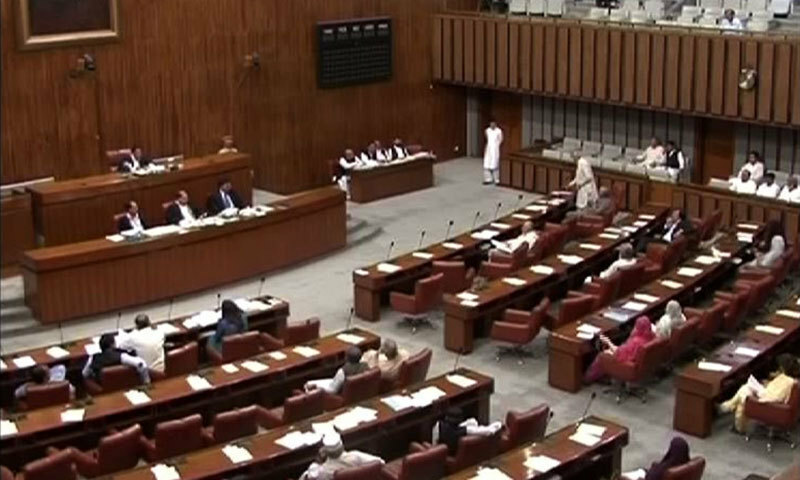 From Balochistan, the PML-N has received applications from Yaqub Nasir, former PPP leader Lashkari Raeesani, Naimatullah Zehri, a close relative of Sanaullah Zehri, Syedal Khan Nasir and Sana Jamali, daughter of Jan Mohammad Jamali, the speaker of the Balochistan Assembly. Ironically, Kulsoom Parveen, the sitting senator of the opposition Balochistan National Party-Awami, has also applied for the PML-N ticket. The sources said the party leadership was surprised to see her application. She claims that she had won the previous Senate polls as an independent candidate and joined the BNP-A later. Talking to Dawn, Raja Zafarul Haq said the board had invited the candidates from other provinces and Islamabad for interview on Thursday (today). It will recommend the names to the party president Nawaz Sharif, who has the ultimate authority to finalise selection for the tickets. Addition of another 87 good-for-nothing to the current lot ! Senate is a white elephant like many other institutions in this country. But everyone is trying to save these in the name of democracy.